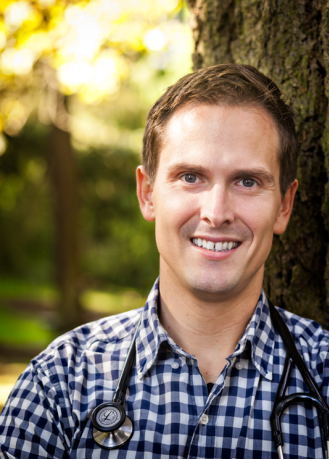 Meet Dr. Jason Wells, Naturopath and Licensed Acupuncturist. Medicine is both a science and an art that’s constantly changing and evolving. Today we have so many modern advancements, yet so many people are still experiencing fatigue, pain, depression, and other obnoxious symptoms that seriously limit their quality of life. You might have had an experience like going to the doctor, being told there’s nothing wrong with you, and leaving still not feeling well and searching for answers. Or finally finding the time in your busy schedule to deal with that annoying headache and being told there’s nothing you can do about it and you’ll just have to learn to live with the pain. Or perhaps you’ve been diagnosed with a chronic illness, such as an autoimmune disease, digestive disorder, or chronic pain syndrome, and you believe, like I do, that it’s never too late to turn your health around. I believe that health care needs to extend beyond merely diagnosing and treating disease and that real health is created by working with the intricate biochemistry of the human body to address the root cause of illness and re-establish a foundation of health adapted to easily excel and thrive. Through a thorough history and diagnostic workup, I’m able to really get to know you, unravel the story of your health obstacles, and prescribe individualized medicines and custom treatment plans to get you back to living life to your fullest potential. As both a Naturopathic Physician and Chinese Medicine Practitioner, I have successfully treated a full spectrum of illnesses in patients of all ages and walks of life. I have extensive expertise in digestive, immune, and endocrine (hormonal) health and concentrate on bringing these systems back to optimal function. In addition to my training in Classical Chinese Medicine, I also offer Japanese style acupuncture, which has countless benefits. If you’re scared of needles or sensitive to pain, fear not! This treatment style focuses on gentle acupuncture, herbal medicine, stretching, and massage to reduce muscle tension, alleviate pain, and achieve qi (energy) and nervous system balance to maximize results, while reducing pain and discomfort. While helpful in almost any disorder, Japanese acupuncture is extremely beneficial in the treatment of acute and long-term pain, mood disturbances (anxiety, depression, chronic stress, ADHD, and similar disorders), and is safe and effective for children and adults alike. When not in the clinic, you’ll find me spending time with friends and family, exploring the breathtaking nature of the Pacific Northwest, as well as spending time in the kitchen and cultivating a variety of fermented foods inspired by cultures around the world. Wherever you are in your health journey, I look forward to working with you. Together, we can create the path to take your health from where you are to where you want to go.